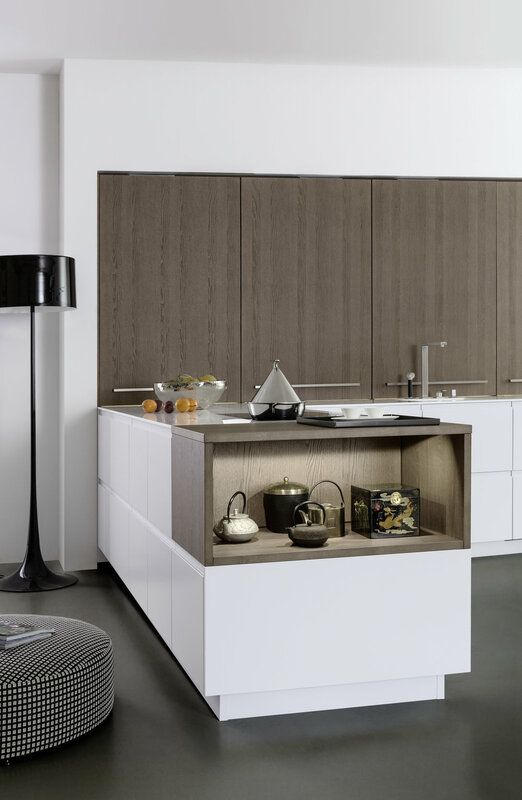 The hallmark of the TOPOS front madeira ash is the balanced but lively grain of the veneer combined with the dark grey/brown stain. Used in large expanses here on the sliding doors of the new midway units. 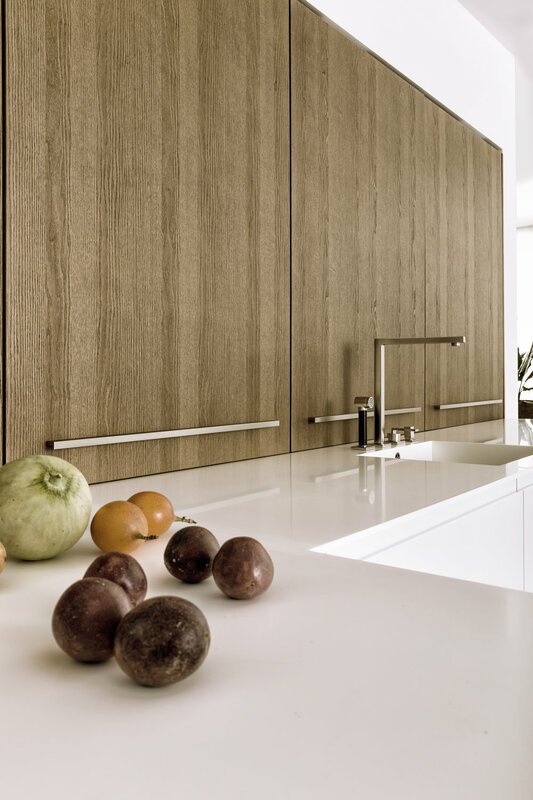 These can be closed flush transforming the space above the worktop into a calm wall area which perfectly demonstrates the beauty of the wood. The function recedes into the background. Kitchen furnishings become furnishings for the living area.